A new face has just appeared on the Latin music scene: Justin Bieber. 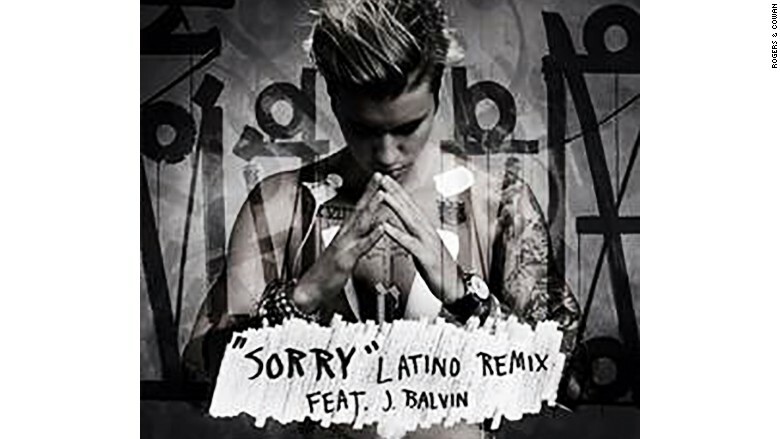 The Canadian-born megastar took to social media on Friday morning to announce the release of a new remix for his hit "Sorry" with Latin music superstar star J Balvin. The two singers are heavyweights in their respective worlds. They appeared in an Instagram video having a discussion about the idea. Bieber says "Latino girls are gonna go crazy" in the video, but it's clear the song is aimed squarely at mainstream audiences. Bieber is one of the best-selling pop music stars in the world. Balvin, who is from Colombia, reigns supreme in Latin music. The collaboration seems to have been building for some time. 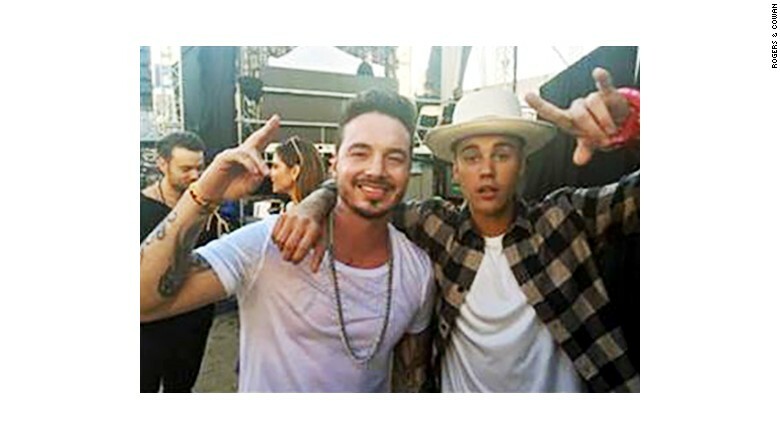 BFFs Justin Bieber and J Balvin. Twitter lit up a few months ago with rumors of a collaboration when a video of the two chatting in Spanish after a show hit social media. "Sorry" will be remixed by Balvin as a reggaeton song. Reggaeton mashes up reggae beats and bachata rhythms -- often with a heavy use of autotune on the vocals. It's a style that has been popular in Latin music circles for decades. His reggaeton hit "Ginza" has been the no. 1 Latin song in the U.S. for five weeks straight, according to Billboard's "Hot Latin Songs Chart." J Balvin has recently begun to gain more mainstream acceptance. He appeared on the Today show this summer as the musical guest, performing live from Rockefeller Center in New York City. While his songs are predominantly in Spanish, they've lately featured collaborations with English-speaking stars. Lyrics switch back and forth between the two languages. Bieber is by far the biggest English-speaking act to collaborate with Balvin. J Balvin just concluded his first headlining U.S. tour.